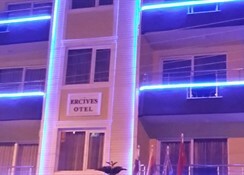 Located just outside the historic coastal town of Alanya, the Erciyes Hotel provides comfortable and affordable accommodation a short distance from the heart of this pretty little town. Just two blocks from the beach, it provides easy access to the warm waters of the Mediterranean Sea, and guests will find a range of conveniences to enjoy in the surrounding area.Guest bedrooms are small but well furnished, with twin beds, tiled flooring and private bathrooms. 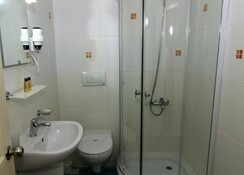 All rooms enjoy televisions with satellite or cable channels, and their own mini bar. In the hotel lobby, the 24hr reception provides currency exchange facilities, and meeting rooms for business users. A news stand is located in the hotel. Air conditioning, and free parking are also available for guests. This hotel is a great choice for couples and business travellers looking for affordable and well-presented accommodation close to local facilities. 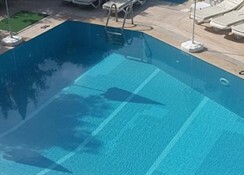 The hotel boasts a good sized outdoor swimming pool set in a furnished sun terrace. Guest rooms are simply decorated and furnished, and feature twin beds, private shower rooms, cable televisions, and telephones. Air conditioning is available in this resort. There is no restaurant at this hotel, but the surrounding streets offer a range of eateries, from local street vendors, to delightful upmarket restaurants and bistros. There are plenty of bars and lounges nearby. 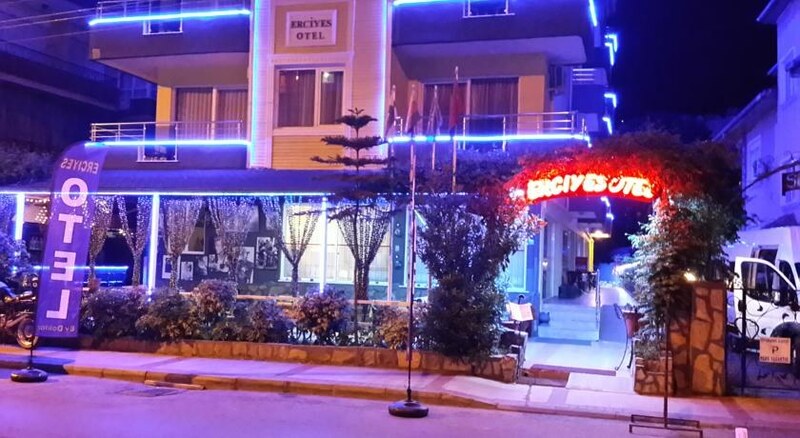 The Erciyes Hotel is conveniently located just south east of Alanya, close to the core of this popular tourist destination. It is two blocks from the beach, and within easy walking distance of shops and entertainment venues.